The dusty Senegalese town of Colobane has fallen on hard times. Business has dried up. Government services are non-existent. The people live in poverty. But a rumor brings good news: Colobane expatriate Linguere Ramatou, now famous and obscenely wealthy, is paying her hometown a long overdue visit. The mayor, the town priest and well-respected shopkeeper Dramaan Drameh hope to restore the local economy and line their own pockets by extracting a generous donation. Since Dramaan was once Linguere’s girlfriend he is nominated as spokesperson and, with studied insincerity, tries to renew their past relationship. 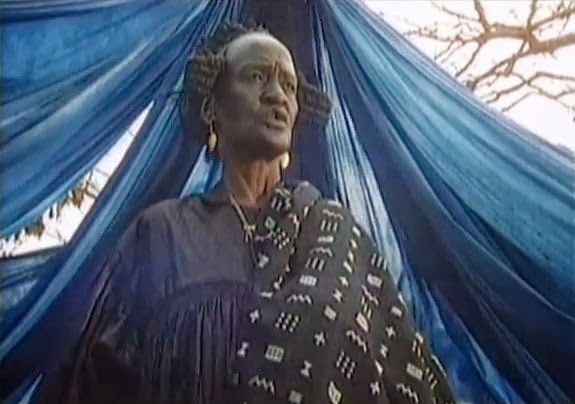 But Linguere, who has aged into a formidable, enigmatic queen with prosthetic limbs and a chilly demeanor, has other plans. Linguere still bitterly remembers that Dramaan not only jilted her as a teen in favor of the previous shopkeeper’s daughter, but also hired false witnesses to drag her name through the mud when she found herself pregnant with his child, now dead. She has long meditated her revenge and, in the meantime, made slaves of the judge and witnesses who condemned her. After settling in, she announces her intention to shower the town with money if only Dramaan Drameh dies; no questions asked. Initially the good citizens balk, but Dramaan begins notices a rise in customers wearing expensive new yellow boots and buying from him on credit. As the mayor, police chief and all his so-called friends, one-by-one, turn their back on him, Dramaan struggles to accept his inevitable fate. With Hyenas, director Djibril Diop Mambety adapts Friedrich Durrenmatt’s classic play The Visit, but gives it added political and economic significance in the context of the African debt crisis. Though Colobane’s citizens are in desperate straits they are, in a strange way, united by their mutual poverty and can scoff with offended dignity at Linguere’s bailout offer. But the patient Linguere easily destabilizes the community simply by sitting back and letting greed erode their moral high ground which, as Mambety and Durranmatt cynically reveal, they never had in the first place. Mambety’s style is calm in the face of Dramaan’s mounting hysteria, almost distant, dramatizing the corruption of the town as an inexorable slide. 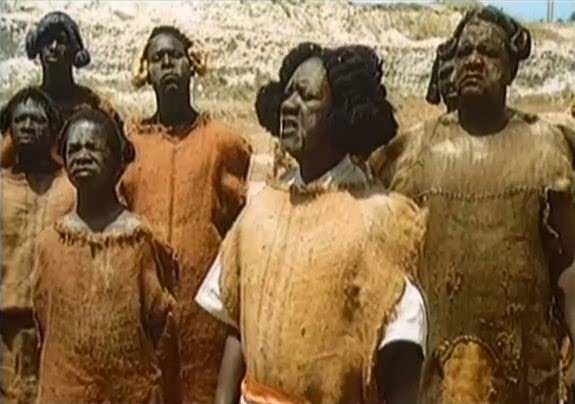 The framing and staging are intentionally claustrophobic (especially the final scene, which is impressive considering that it takes place in an immense canyon), emphasizing not only the tightening noose around Dramaan, but the hemmed in status of the whole town, choked by need, greed, financial debts and guilty consciences. Senegal is also home to author-director Ousmane Sembene, widely considered the father of African cinema, whose prodigious literary and cinematic works have influenced the region for over five decades. 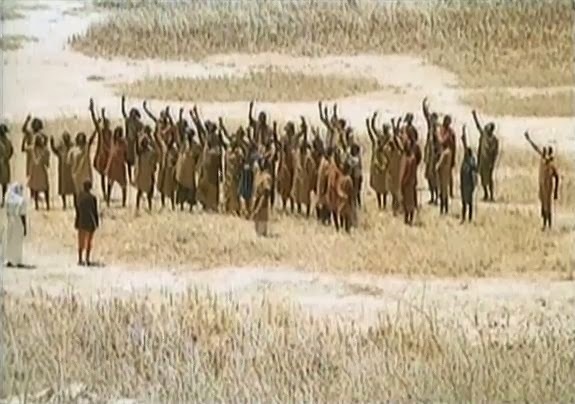 A close runner-up for this project was Sembene’s landmark ‘Black Girl’ (1966), likely the first feature film by a Sub-Saharan director, and his most sophisticated films, 'Guelwaar' about an assassinated Christian accidentally buried in a Muslim cemetery and 'The Campe at Thiaroye', about French-African infantryman returning home after WWII only to find that their service has not immunized them to racism. Hello Brian! I just wanted to say that after a bit of a lapse of attention, I've been catching up on your Film Atlas project, and it's a fantastic one. Thanks for all of these. I'm specifically posting here after Hyenas, because it's a recent discovery of mine and Maya's as well, and an instant favorite. We even tracked down an old cassette of the (amazing) soundtrack. 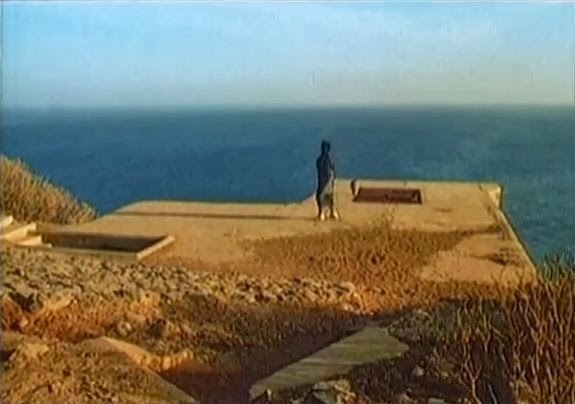 Anyway, I'm taking lots of notes from your recent cinematic travels to follow up on soon.